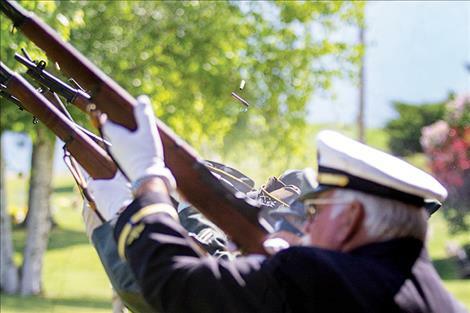 A Polson Memorial Day ceremony salutes soldiers who died during military service. 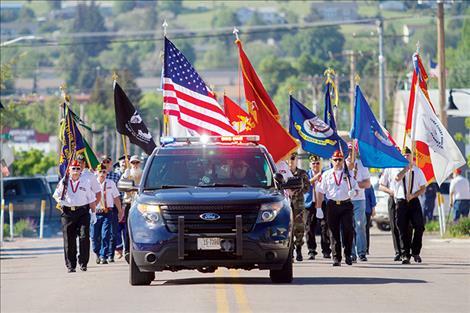 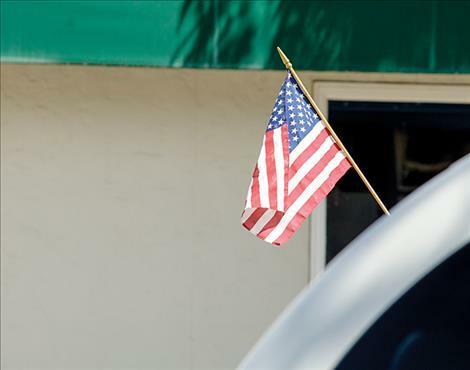 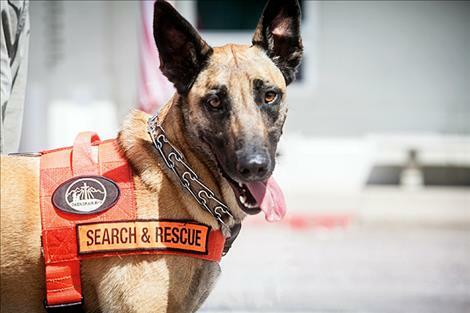 LAKE COUNTY – People often think Memorial Day is the holiday that begins summer with activities during a three-day weekend including everything from barbecue cookouts, trips to the lake, and a stop off at the cemetery to remember loved ones. 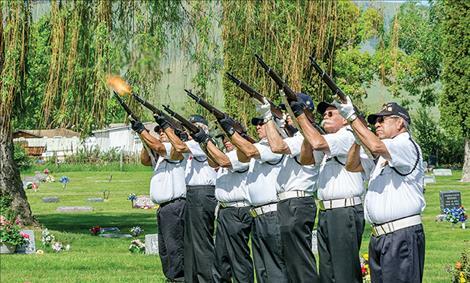 “It’s more than that,” said Pastor Derf Bergman as he addressed a crowd that gathered at the St. Ignatius cemetery on Monday. 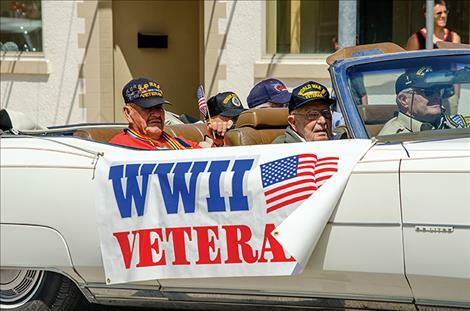 He said the holiday began as a day to honor Civil War Veterans and has been changed over the years to honor the service of all Americans who gave their lives while serving their country. 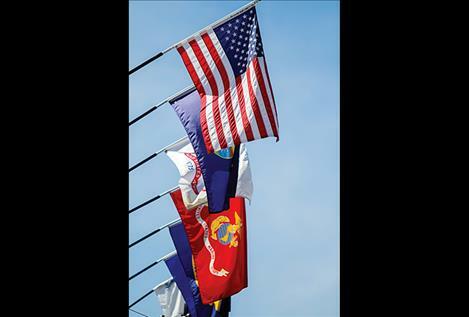 “No words I can say will be enough to honor their service, so let’s stand in silence and remember them,” Bergman said to an audience gathered at the ceremony. 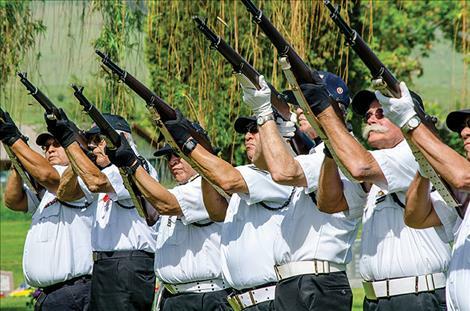 Mission Valley Honor Guard members annually organize the event. 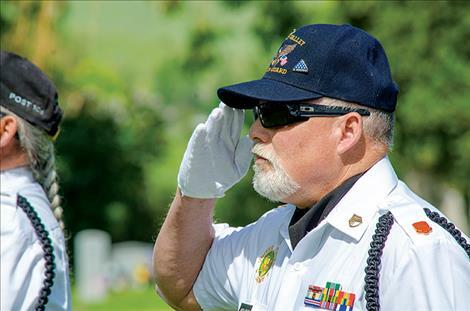 Honor guard member Doc Holliday talked about the meaning of Memorial Day during the ceremony while several members stood in uniforms holding flags and others stood ready to fire the three-volley salute. 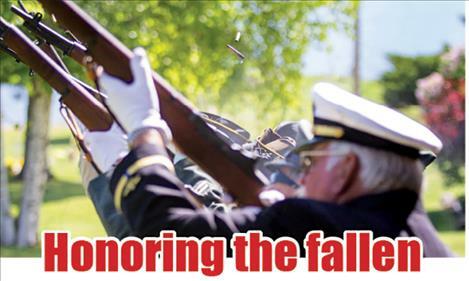 He said Memorial Day was originally called Decoration Day to honor the men and women who died while serving in the U.S. Military during the Civil War. 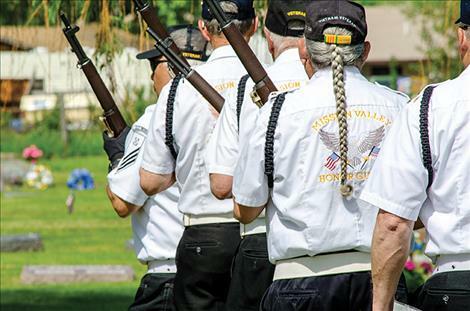 After Mission Valley Honor Guard volunteers left the cemetery, they went to the Catholic cemetery to honor those soldiers. 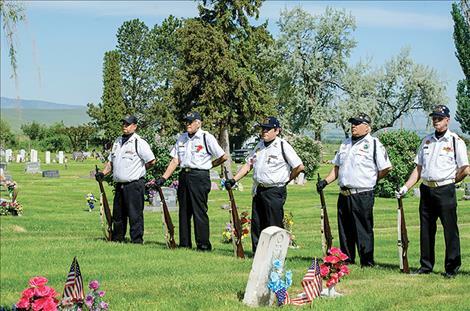 Before arriving in St. Ignatius, they honored the soldiers in the Arlee cemetery. 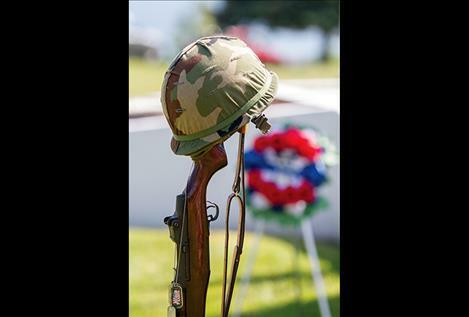 Every year for at least 50 years, members of the guard have organized the memorial ceremonies. 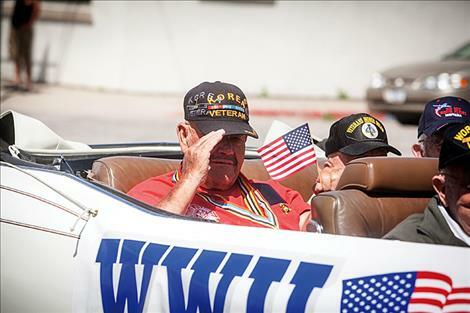 “This is the least we can do so these people are not forgotten,” said Mission Valley Honor Guard Member JC Courville. 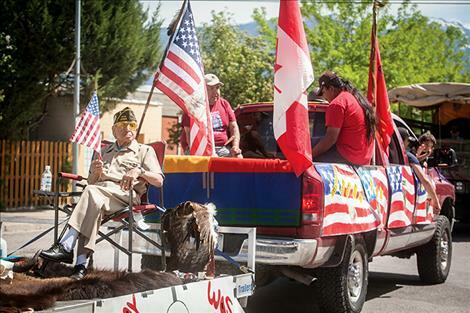 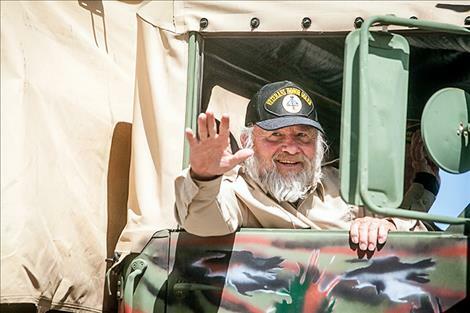 In Ronan, soldiers were remembered with a parade down Main Street that included antique cars, law enforcement vehicles, WWII veterans, and WWII Veteran and Salish elder Francis Stanger. 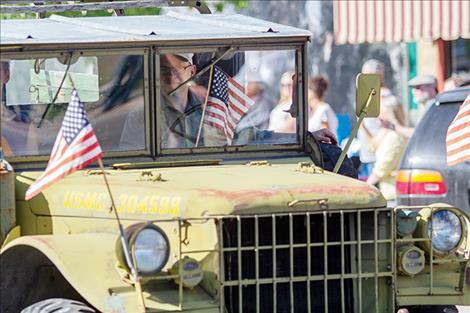 Polson parade included vintage army vehicles, Lake County Search and Rescue vehicles, and many flags. 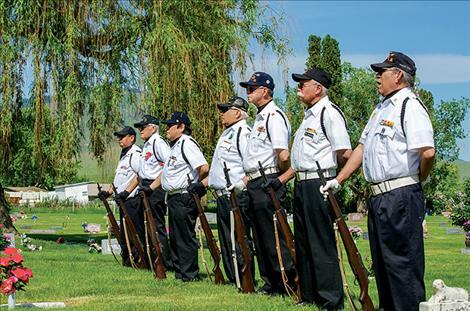 Another honor guard ceremony was held at the Polson cemetery.